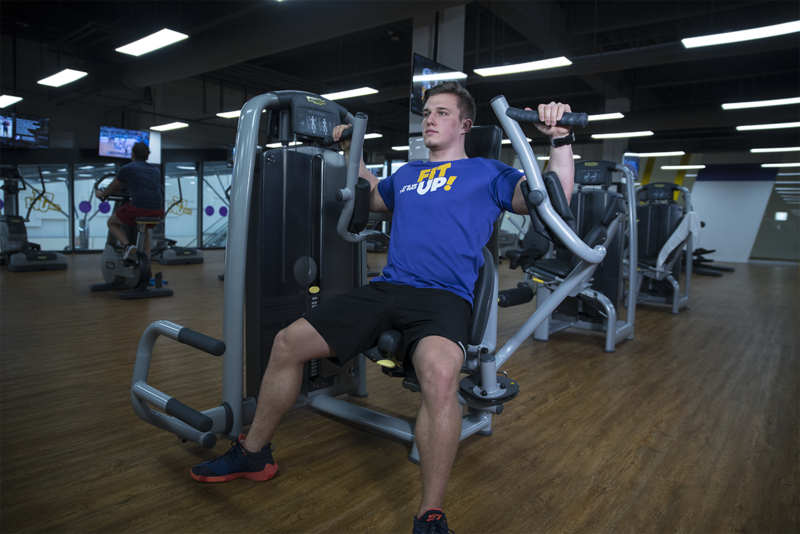 Controlled movement using machines helps to build your muscles efficiently and equally. Machines are great for muscle progress, for beginners as well as for advanced body builders. Obviously, there are various modifications where the periods of work and rest change, and various combinations of exercises. Exercises using own weight are accompanied by equipment. Besides which, we focus on the whole body, upper body, core as well as lower body. At FIT UP! studios there are more than 20 types of Technogym machines to choose from, great for forming your muscles in many ways. Repeated exercise to learn to use your muscle potential. Tone your body parts, burn off fat more efficiently and make your muscles visible! Leg exercises are an important part of training for men as well as women. It doesn’t matter if you are looking for firm legs or muscular legs: we have the suitable machine for you to meet your goal. And if, by any chance, you don’t know how to use the machine, our trainers are always happy to help you. 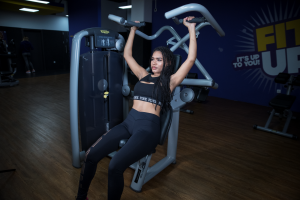 Leg extension, leg curl, vertical as well as horizontal leg press, abductors and adductors, multi press and squat machine, leg curl machine forming gluteal muscle and hamstring. Various exercises for abdomen toning are the best and fastest way to a manly six pack or a strong and flat abdomen that many women long for. At FIT UP! we have machines to form your abdomen as well as lower back. 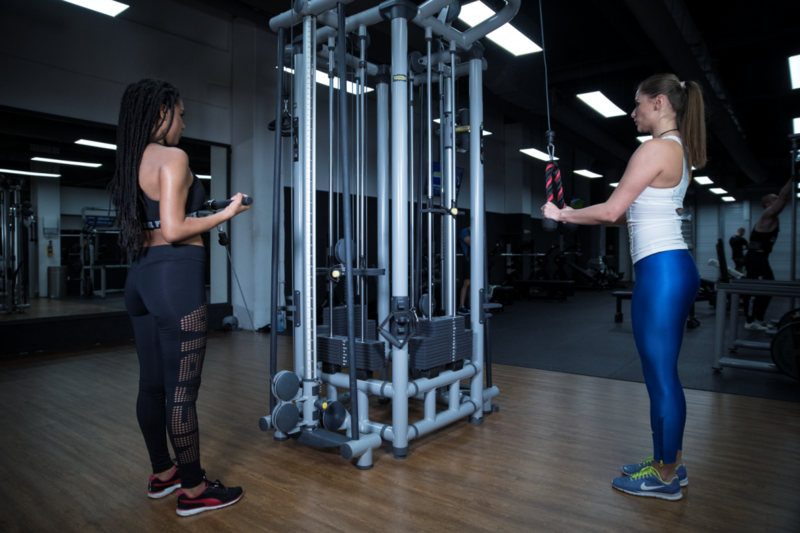 Power machine for abdominal pull-up, positioning benches for abdominal exercises, machines for back exercises, cable pulley, additional bar, rowing, power roller, fit balls, discs and much more. If you would like to tone your shoulders by using a simple and effective way, there are efficiently controlled exercises available at FIT UP! Studios. biceps, triceps and shoulder press machines. Regular exercise prevents pain and strengthens your back for general daily load. Use our machines for back forming, get a straight and correct body posture and tone your back into the V shape. rowing, cable pulley, horizontal bar – additional + classic, seated rows and hyperextension machine. Toned chest muscles are an attractive goal for many men as well as women, mainly for a good-looking and formed body. FIT UP! Studios provide targeted training to form your chest muscles. benches – flat and inclined, multi press, isolated chest press, pack deck, lower chest press, towers.